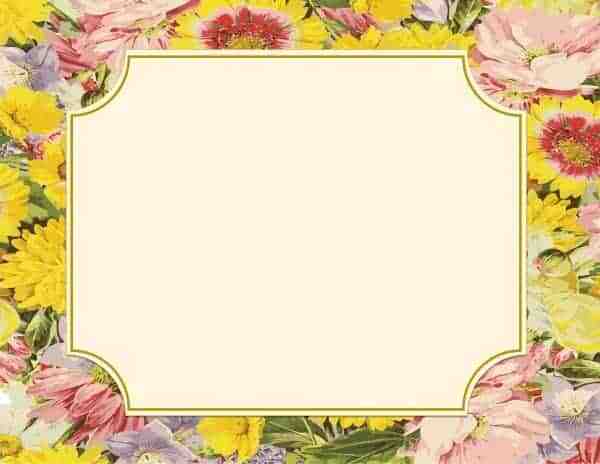 A selection of flower borders that can be printed as is or you can add text to them before you download. 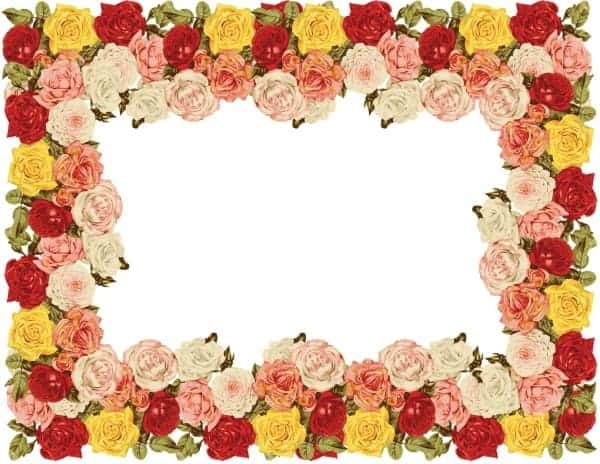 Choose a flower border template and click on “customize” to open the border maker. 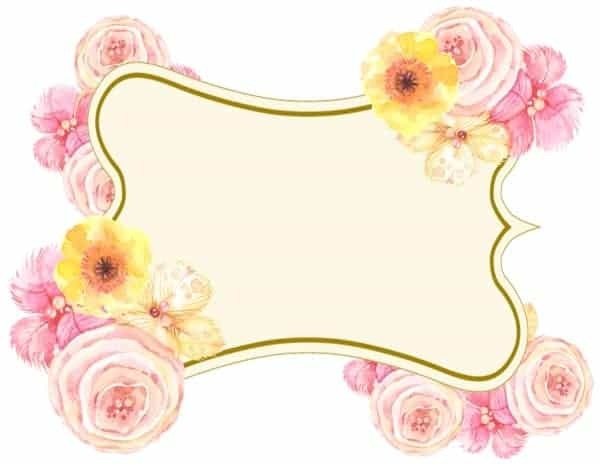 This template has pretty pink flowers painted with watercolor. 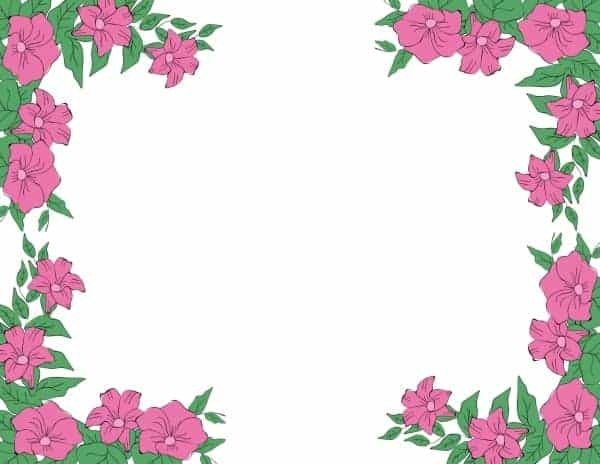 This clipart flower border has small clip art flowers on the top and bottom of the page and pretty leaves along the sides. 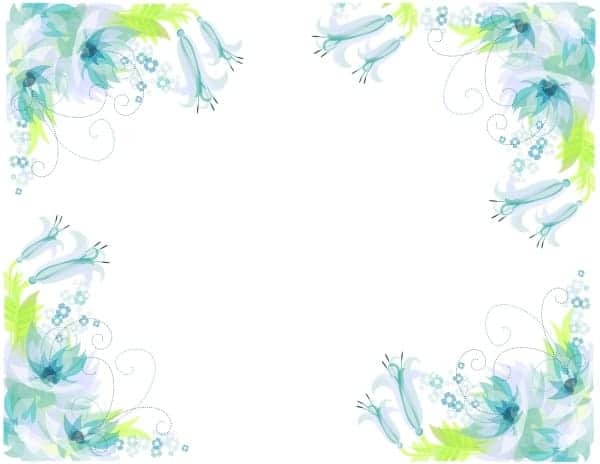 This flower border clipart features a bunch of flowers in each of the four corners. 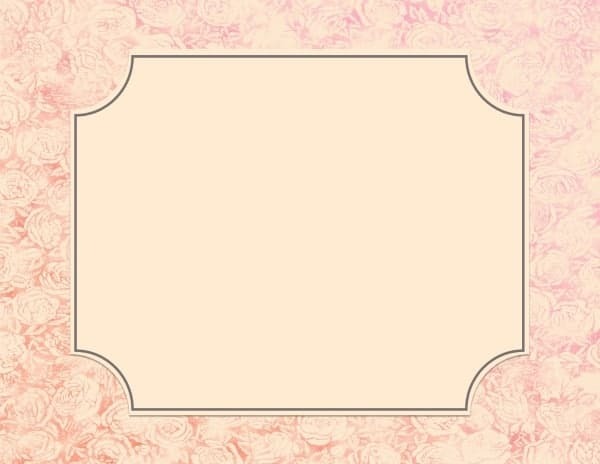 Please note that the borders are shown in landscape orientation but they can be used in portrait orientation too. 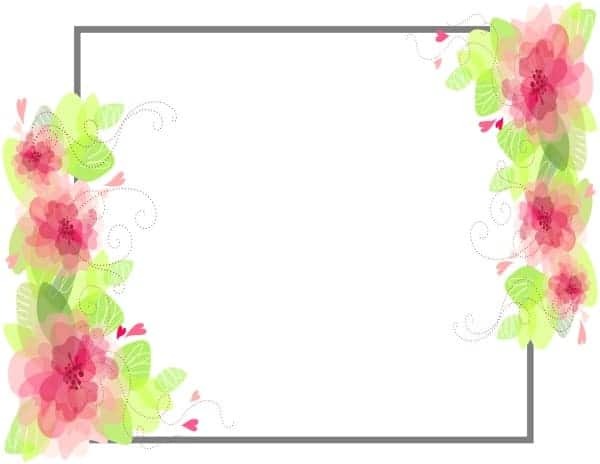 What can these page borders with flowers be used for? 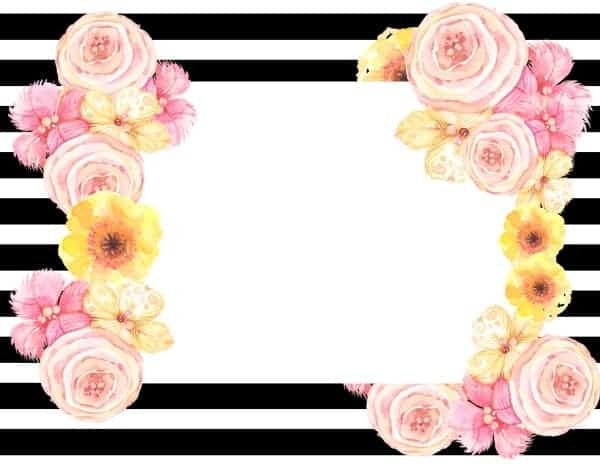 How to add a photo to the border? 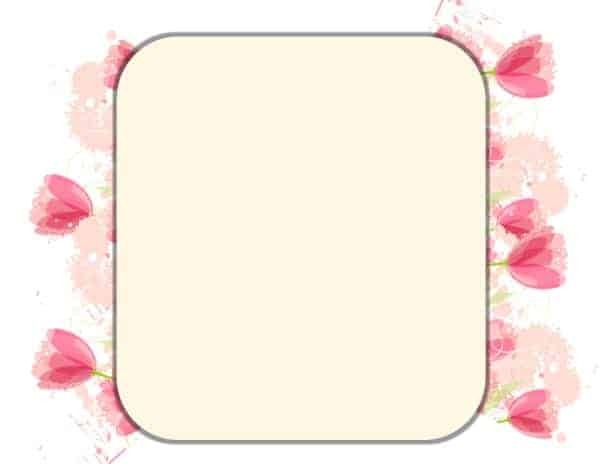 Click on customize to open the border maker. Click on the photo icon to upload a photo. 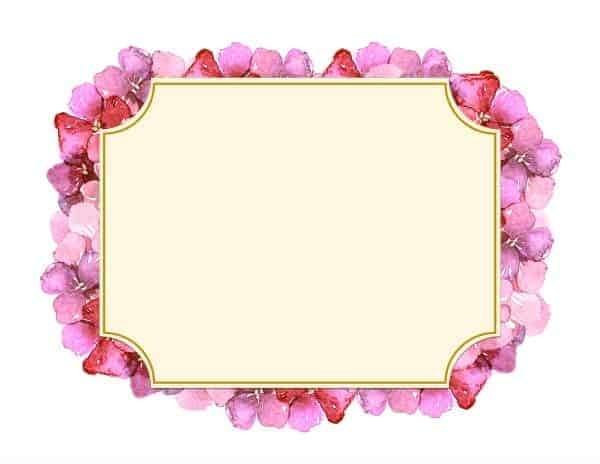 Select your photo to insert it into the border. Move it around or change the size.